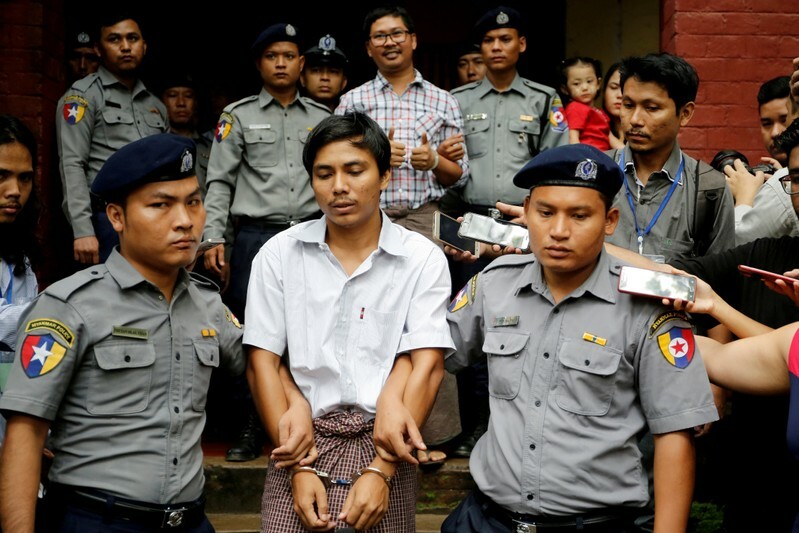 WASHINGTON (Reuters) – The United States criticized Myanmar on Wednesday after the Asian country’s high court upheld the sentencing of two Reuters journalists, expressing deep concern about freedom of expression and urging that the two be reunited with their families. “Burma’s Supreme Court decision yesterday to uphold the sentencing of Pulitzer-prize winning journalists Wa Lone and Kyaw Soe Oo, despite serious irregularities in the case against them, sends a profoundly negative signal about freedom of expression and the protection of journalists in Burma,” the State Department said in a statement, using the country’s former name. A defense attorney says the college teacher accused of trying to burn down St. Patrick’s Cathedral in Manhattan suffered a “psychotic episode” last week. Attorney Christopher DiLorenzo asked a judge Wednesday to order Marc Lamparello to undergo a psychological evaluation. Lamparello faces charges of attempted arson and reckless endangerment. A prosecutor said Lamparello was planning to burn down the cathedral and carried gasoline cans, lighter fluid and lighters into the church. 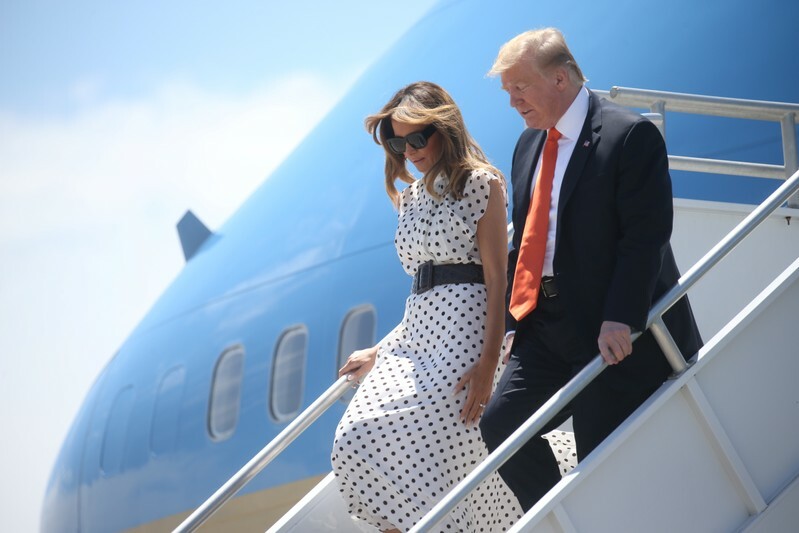 Authorities say he booked a flight to Rome for the following day and planned to stay at a hotel 20 minutes away from the Vatican. A prosecutor says a college philosophy teacher accused of entering St. Patrick’s Cathedral in Manhattan with gasoline cans, lighter fluid and butane lighters had also booked a hotel just 20 minutes from the Vatican. BRASILIA, Brazil – More than 1,000 indigenous Brazilians gathered outside Congress Wednesday for an annual three-day campout to protest what they see as rollbacks of indigenous rights under President Jair Bolsonaro. Tents dotted the lawn in front of the National Congress, where indigenous leaders sang, danced and sold crafts while wearing traditional feathered headdresses with their faces painted red and black. The event, known as the Free Land Encampment, began its 15th edition with a sense of animosity toward Bolsonaro, whose policies indigenous leaders are calling the biggest setbacks to their peoples’ rights in recent history. At the same event in 2017, police shot tear gas at the indigenous protesters who retaliated by shooting at them with bows and arrows. “We are not violent. Violent are those who attack the sacred right to free demonstration with armed troops,” the organizers wrote in a statement protesting the National Guard presence. “They’re trying to take the right to come and go from Brazilians who have walked these lands since long before 1500” the statement read, referencing when European colonizers first came to Brazil. Before becoming president, Bolsonaro promised that if he were elected, “not one more centimeter” of land would be given to indigenous groups and likened indigenous people living in reserves to caged animals in zoos. On his first day as president, Bolsonaro transferred the authority to designate indigenous land and to grant environmental licenses for businesses on indigenous reserves from the government’s indigenous affairs agency to the agriculture ministry. Activists say the move will practically paralyze land allocations and facilitate operations for agribusiness and mining. Bolsonaro’s health minister sparked protests across the country last month when he proposed eliminating the federal indigenous health care program and putting indigenous health care needs in the hands of municipalities. Indigenous groups say that the current program is designed to attend to their specific needs in indigenous languages. Stephen Tillett, an attorney for relatives of Landen Hoffman, said during a news conference Tuesday he was not authorized to confirm or deny comments made by Pastor Mac Hammond in a video posted to Facebook, the Star Tribune reported. Hammond, pastor of the Living World Christian Center in Brooklyn Park, Minn., where the boy’s grandparents attend services, said the boy’s grandfather told him an MRI indicated no brain damage, spinal cord injury, nerve damage or other life-threatening internal injuries. Tillitt said he couldn’t confirm or deny Hammond’s comments, as it would invade the Hoffmans’ privacy, but he clarified that the bicycle remark referred to the boy’s facial injuries, not his overall condition. “The family is in a position where any comment to confirm or deny would be intruding on the realm of the privacy they want,” Tillitt said. “To start going into details of any kind, confirming or denying, means that the privacy has been intruded upon. Landen remains under sedation in intensive care, with more testing to come, Tillitt said. A GoFundMe page created by a friend of the Hoffman family has raised nearly $1 million for Landen’s healing process. Emmanuel Deshawn Aranda, 24, of Minneapolis, has been charged with attempted premeditated first-degree murder for the April 12 incident. He is being held in lieu of $2 million bail at the Hennepin County Jail. Fox News’ Danielle Wallace contributed to this report. MONTICELLO, Ky. – Two Kentucky day care workers face charges over an online video that shows one of them scaring a toddler with a doll. WKYT-TV in Lexington reports Wendy’s Wonderland worker Tasha Cox is accused of filming Diana Willett waving a doll at a 2-year-old girl when Willett knew the child was afraid of dolls and small animals. Wayne County sheriff’s deputies say they learned of allegations Friday. Willett was arrested Monday and charged with criminal child abuse. Cox was arrested and charged with failure to report the abuse. It’s unclear whether they have lawyers. A deadly Easter attack left 11 dead and 30 wounded after a disgruntled police officer drove his truck into a group of children in yet another Easter tragedy, this time in Gombe, Nigeria. The King County Sheriff’s Office said on Twitter the incident happened around 2:30 a.m. in White Center, located south of Seattle, after the homeowner woke up to find the suspect inside his home. At some point, with the 35-year-old homeowner on the phone with 911, he opened fire on the intruder, killing him. “You have every right to protect yourself or your family if you’re in fear for your life or safety, and it appears that’s what happened in this instance so far,” Abbott told Q13 News. Police said a K9 tracking team went out to search for a possible second suspect, but no one else ended up being located. Neighbors told dQ13 News they already feel uneasy about crime reports in the area, and wonder how the homeowner is holding up after the shooting. “I’m not glad he did it, but you got to do what you got to do,” neighbor Dale Matthews said. The shooting remains under investigation by police.